Values provide an internal compass, a reference for what is good, beneficial, important, useful, beautiful, desirable, and constructive. What are the values that are important to you? What behavior do your values generate? Your company values can help guide your employees actions and decisions in the absence of specific direction. Let a Compass Business Consultant help you put your values into words and begin to inculcate them throughout your organization. 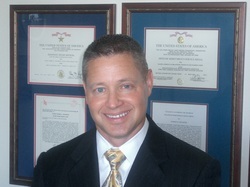 Business, Management and Leadership Consultant Drew Schlaepfer serves small and mid-sized businesses throughout the state of Florida, including Tampa, Orlando, Ocala, Jacksonville, Ft Myers, Naples, Ft Lauderdale and Miami, who have a need for professional business consulting and management consulting in the areas of leadership, management, organization, team-building and coaching. Working with Business Owners and Management Teams, Drew assists in helping company's establish a Solid Foundation throughout their organization. Drew Schlaepfer works with business owners who have integrity, a strong desire to improve and succeed and who sincerely care about the people with whom they work. With over 25 years of leadership and management experience, Drew Schlaepfer helps ensure your company's vision becomes a reality. Contact Drew Schlaepfer today to start your company on the road to real success.